Hi there it's Gene Principe with Sportsnet. 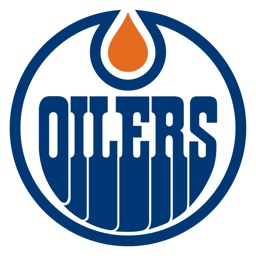 I'm born and raised in Edmonton and loving my job with the Oilers. I need a pun intervention but other than that all is well. Looking forward to hearing from you. You're the only person in sports media I've seen who so shamelessly makes the type of pun you do. I'm a big fan of it and it's incredibly refreshing to have someone who breaks the mold of what's expected from someone in your position. My question is, how did it start? Image and professionalism are such a huge part of your industry, did you need permission from your producers to start making the jokes you do? Did you just go for it one day and hope for the best? Keep it up, I love the enthusiasm you bring to the table every day! It started during the Oiler struggles as I wanted to try and bring some fun to the game/broadcast. It's just kind of continued from there. I get great support from my bosses in Toronto and our producers at games. They really are a good sounding board for me. I get reeled in every oince in awhile. That's fine with me. They are the bosses for a reason. Glad you enjoy it and thanks for the question. This is all i came here for. Thank you, sir. Geno, my man! Who do you like for the superbowl this year? Can we ever expect you to dab on air, like Cam Newton does? First, thanks Gene for doing this. I thought of you as the perfect person to do our debut AMA because in a weird way you represent this sub perfectly in that you're a YEG native with the capacity to be simultaneously humourous/ridiculous and serious/insightful about hockey and the Oilers. Do you think your sense of humour (as something both absurd and self-deprecating) comes from a place that is particular to Edmonton? How much of a challenge has it been to maintain a positive disposition even during the darkest moments of the Oilers long futility? Also, who's the funniest Oiler? What a way to describe me? That was well done. I wouldn't have even thought of that. Ya I think there is some "Edmonton' in my sense of humour. I'm from here, grew up here and feel like I have a pretty good understanding of the people(Oiler fans)in the city. Staying positive actually gets easier because the more you do it the better(theoretically speaking) you get. The club is great to be around even with the losses. Hey don't get me wrong I'm happy for them when they win but I try and go about my job as serious or unserious(is that a word?) as necessary despite the end result. Funniest Oiler just might have to be Matt Greene. Geez he was a funny guy to be around. Someone else who was funny, and this might surprise you, was Sheldon Souray. Very serious on the ice but made me laugh. Thank you Gene! You've gone above and beyond most AMAs in answering our questions and we all really appreciate your time and openness in being here and sharing with us today. Seriously, THAT'S how you do an AMA. That was fantastic. Hi Gene, thanks for doing this, anyway, my question is, is there anyone from opposing teams, that you like talking to when they come to town? Lots I like talking to. I enjoy talking to Stamkos, Ovechkin and a little story about Crosby. When he was here this season he spoke on Connor. I was a little late getting to him and missed that part. I asked him to talk about Connor again and he kind of laughed and said I could get it from someone else. In the end I got what I needed. I moved on and a minute later Crosby taps me and sayd hey you want to do that interview on Connor? i said that's very nice of you but I got what I needed. He nicely insisted and I ended up with a one on one that I never really asked for but got anyways. Class-act that Crosby guy I tell you what. I don't have a question, but I wasn't going to miss this opportunity to let you know how much I appreciate the light-hearted and positive approach you bring to every Oilers game. The team doesn't always give us a lot to smile about these days, but one thing fans can always count on is for you to give us a chuckle along with some terrific analysis of the game. Keep up the good work, and Go Oilers! Nice of you to say. I work with great people Louie, Kevin, Mark, Drew and others in the studio that make it a great place to work. Not everyone enjoys the humour and I get that. However I'll keeo taking the same approach until told otherwise. I do take it down a notch or two or three on National games> I also enjoy that approach. A true pro. We're lucky to have you on our team Gene, thanks everything! That's very nice of you to say and I'll try and keep it up. I think many more Oiler related smiles are on the way soon. Gene, do you come up with your puns on the fly, or do you have some kind of pun binder you refer to? I should come up with a pun binder..i like that idea. On the fly, While driving, sitting at home, at the rink, on a bus, on a plane. Basically anytime, anywhere because you never know when the light will go off with an idea for a pun.